Maids Around Town was founded in Austin, TX to provide a better cleaning experience for homeowners. Co-founders thought that it’s our job not to worry our customers on any matters and be responsible for from A to Z, not only the quality of work but also the safety and everything. Therefore, our fellow maids all had to go through a rigorous background check and qualification process. In terms of products, we use only the highest quality, natural and non-toxic products that we chose after weeks of research. Products from Better Life are the ones that we chose and their products are safe for kids, pets and even for the planet and they are are also known for being powerful at the same time. Also, to make sure that the quality of our service is maintained as high as the beginning, after each service we ask customers to rate their cleaners on a scale from 1-10. All cleaners are required to stay 9 or above. We have been trying our best to meet our customers’ needs and demands as perfect as possible and our restless efforts have been paying off. Founded and started as a small company in Austin, Maids Around Austin managed to expand locations to other big cities in Texas. 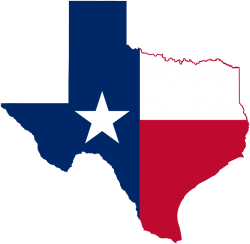 Now we have our offices in Houston, San Antonio and Dallas. We are welcoming new maids in all locations all year round. To apply, click here.